"President Obama will now be remembered for his singing – specifically, "Amazing Grace." Obama's rendition of the 18th Century spiritual – a coda to his moving eulogy Friday on the Charleston church massacre – lit up social media this weekend, with some comparing the moment to John Kennedy's "Ich bin ein Berliner" and Ronald Reagan's "Tear Down This Wall." The themes of "Amazing Grace" – "how sweet the sound/that saved a wretch like me/I once was lost/but now am found/was blind, but now, I see" – permeated Obama's remarks about the taking of nine lives during a Wednesday night Bible study. The president used the word "grace" 35 times in his eulogy to describe various responses to the killings, including the forgiveness the families expressed to the accused killer, the coming together of the Charleston community, and calls by South Carolina lawmakers to remove the Confederate battle flag from its State House grounds. The word "blind" or a variation appeared eight times in the text as Obama argued that killings opened Americans' eyes to a litany of ongoing social changes, from the scourge of gun violence to the minefield of race relations." I know President Obama is a Harvard Law School Graduate, and theoretically knows Constitutional Law, but does he know Orthodox Christian Theology? Here are a few questions I have for the POTUS and the SCOTUS: Do you know the history, story and meaning of the song Amazing Grace? 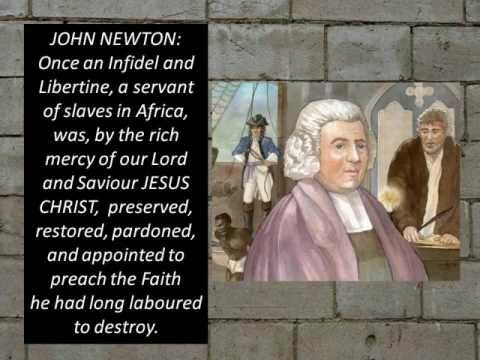 The history and story is about John Newton, a English slave trader who lived a wild and debauched life, until he cried out to God to save him from not only a literal storm but from the storms of his sinful lifestyle. Newton's life was profoundly transformed by God in his life. He dedicated his life to the teaching and preaching of the Good-News of Jesus Christ's liberating mercy and grace, that not only amazingly deliverers us from evil and to heaven, but changes our hearts and through the Holy Spirit gives us the ability to overcome our sin. I know sin is not in, but what is grace if not the liberation from our wretchedness and sin by our Savior and what are we blind too, if not the sin that our Savior died to free us from? Remember the name Jesus or YeShua in Hebrew means, "YAHWEH Saves" us from our SIN! Here's my bottom line point: The song our President sang was about liberation from SIN and the amazing love, grace and mercy, Jesus pours into our repented hearts. 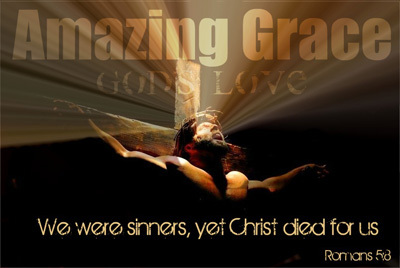 As chief among sinners, I have experienced, His grace and mercy & it is truly amazing!!! Mr President, it might be just as apropos for you to preach and sing Amazing Grace before 9 Blacked Robbed Supreme Court Justices and remind them that our Creator, is called in the Declaration of Independence, the Supreme Judge of the World. Only by His Amazing Grace can America survive His judgement, and can we live with our Father in His Kingdom.